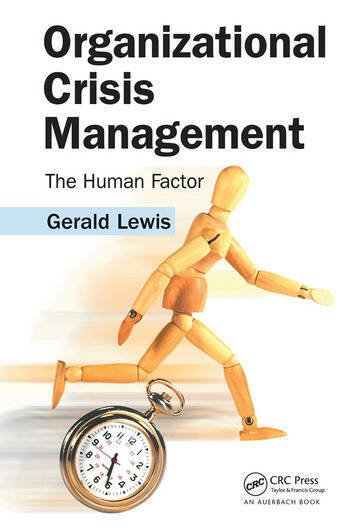 Organizational Crisis Management: The Human Factor offers theoretical background and practical strategies for responding to workplace crises. Responding to a paradigm that focuses on the operational aspects of continuity to the detriment of human factors, this volume provides a comprehensive understanding of the unavoidable yet often complex reactions of workforces to a wide array of organizational disruptions. Based upon the author's vast experience in the field, this book is a "nuts and bolts" resource that you can immediately apply to a wide range of organizational environments. 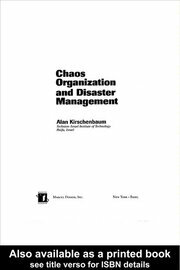 Following an analysis of the workplace as a social milieu, this text offers a methodology for assessing the impact of various crises, and examines pre-incident mitigation planning. It explores the psychological reactions of individuals and groups who have experienced crises, investigates the impact of the workplace displacement, and examines pre- and post-transition strategies. The book looks at the legal and security aspects of workplace disruption, and details the specific services, programs, and interventions that should be in place prior to any event. It concludes by providing guidelines for working with the media, emergency management agencies, and behavioral health services. 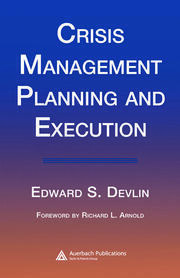 "This book is a must read for all managers concerned with responding to workplace crises." "A stunning accomplishment! Brilliant concepts that are equally valuable to corporate management, government planners, employee assistance programs and all crisis responders. This book has become a vital component of my crisis tool kit."